For the second consecutive year, 3 Point teamed up with the Pac-12 to launch the men’s college basketball season overseas. With a venue change taking place for the 2017 game, we prepared accordingly in regards to technical and creative adjustments that would take place with the UCLA-Georgia Tech matchup. The result was a strong production in which teamwork and cohesion alongside the Pac-12 led to a great outcome. Our relationship with the Pac-12 expanded again in late 2017 when 3 Point was brought on to oversee Field Management for the conference’s annual Football Championship Game. In a matchup featuring perennial powerhouses, USC vs. Stanford, our focus was on the field movements such as national anthem, halftime, the infamous Dr. Pepper Tuition and the postgame trophy ceremony. As the Pac-12 moved their annual Men's Basketball Tournament to the new T-Mobile Arena in Las Vegas, they wanted to create a marquee event to provide a festive pregame and postgame atmosphere for fans throughout the conference. Working closely with the Pac-12, we created the Pac-12 Fan Plaza on Toshiba Plaza on the front doorstep of the arena. The four-day event featured pep rallies, cheer team and mascot performances, celebrity appearances, on-court contests and a view party platform for each of the tournament games. Surrounding the stage and basketball court were sponsor interactive spaces and food trucks, providing an all encompassing experience for the fans in attendance. Alongside the Pac-12 & Van Wagner Sports & Entertainmentr, 3 Point continued their tradition of coordinating the music for the 4-day Pac-12 Women's Basketball Tournament in 2017. 3 Point themed and provided the soundtrack for all of the canned music moments needed throughout the tournament. Stanford beat the top-seeded Oregon State Beavers to win the 2017 Pac-12 Tournament. The 3 Point crew made a return trip to Shanghai, coming off NBA Global Games the month prior, for their debut at the Pac-12 China Game. With full oversight and production management of game presentation, we developed a show that would provide a spirited collegiate atmosphere, along with highlights of American sports entertainment combined with an influence of local tradition and ceremony. The result was a production the Pac-12 was very pleased with in their second annual season opener, featuring Stanford and Harvard. 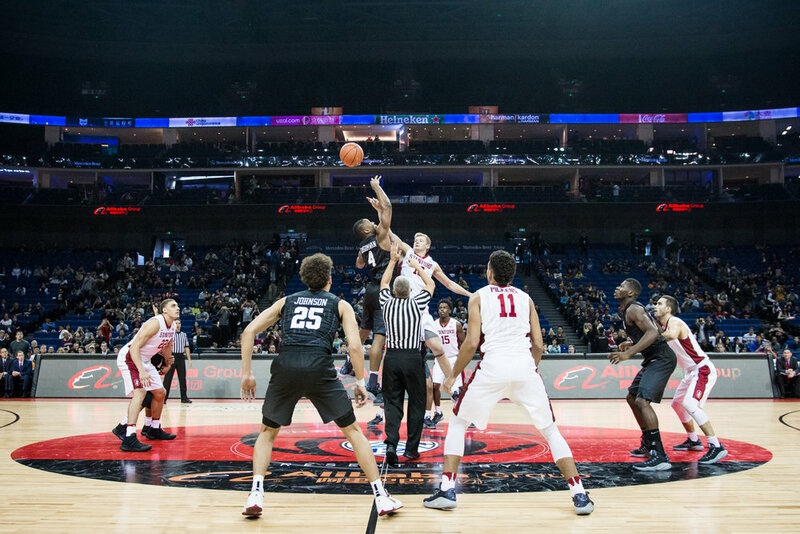 In 2016, the Pac-12 and their producers at Van Wagner Sports & Entertainment brought back 3 Point to coordinate the music for the 4-day tournament. 3 Point sets and provides the soundtrack for all of the canned music moments needed throughout the tournament. Oregon State beat UCLA to win the 2016 Pac-12 Tournament. In 2015, the Pac-12 and their producers at Van Wagner Sports & Entertainment brought back 3 Point to coordinate the music for the 4-day tournament. 3 Point sets and provides the soundtrack for all of the canned music moments needed throughout the tournament. Stanford topped California to win the 2015 Pac-12 Tournament. 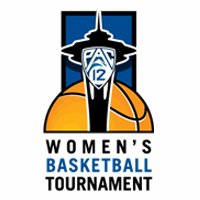 Since 2014, in partnership with the Pac-12 Conference, Seattle Storm and Van Wagner Sports & Entertainment (VWSE), 3 Point has provided the music and audio experience throughout the Pac-12 Women’s Basketball Tournament, taking place at Seattle’s KeyArena. The tournament features eleven games over four days and draws from a vast number of fan bases, allowing us to entertain spectators with a wide range of musical genres and school themed sound effects.